It can be recalled, After a successful launch in 2017 at the Farmington Hotel in Margibi County, the AYEE Summit agreed to host the event in Rwanda. 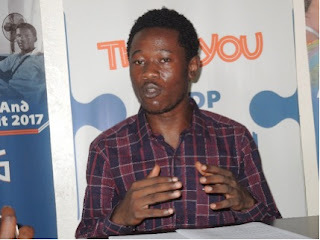 But Beyan Flomo Pewee, Executive Director of the Youth Coalition for Education (YOCEL), said the Summit will now be hosted in Liberia due to constraints. He did not, however, provide any detail of the challenges that Rwanda faces at the moment. Addressing a news conference on Thursday, May 24, Pewee disclosed that the 2018 edition of AYEE Summit has been moved from Kigali, Rwanda back to Monrovia, Liberia. “We have realized that Liberia needs AYEE Summit more and due to the overwhelming support from this Government especially the Ministries of Education and Youth and Sports and partners, we have brought the summit back to Monrovia,” Beyan stated. The YOCEL executive director said the Summit will also serve as a golden opportunity to promote and enhance youth issues at the level of the “pro-poor” government. The essence of the Summit, according to Beyan, is to ensure that young people in Liberia and the African continent at large are given the opportunities to network and become more productive citizens for sustainable future. The Summit, which targets more than 500 youths from the continent, former heads of state from Africa, top business and civil society organizations, will commence in November this year. Beyan disclosed that former President Ellen Johnson Sirleaf will deliver a special speech at the Summit to share her experience as a youth and as a president. He said the narrative of the former Liberian leader will be used to motivate young people to be agents of positive change on the continent.